This book was okay. Sometimes it had the cleverness and humor of the movie, but most of the time it didn't. There was some language and other content that apparently was left out of the movie (I'm relieved). Let me say, this is one of those rare instances in which I much prefer the movie! I love the Thin Man series. 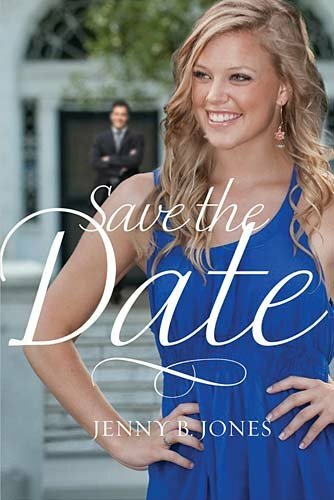 By the way, Nick Charles is, unfortunately, much less charming in the book. 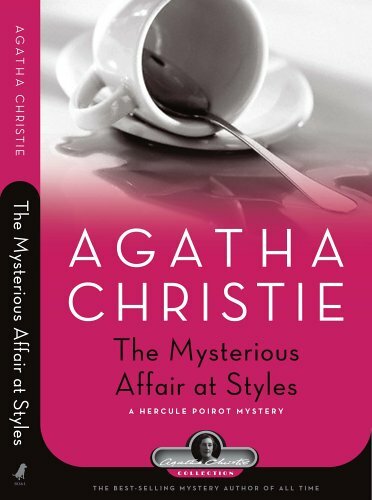 I rarely read mysteries...and here's two in one month! :) I enjoyed this one a lot better than The Thin Man. It was much easier to digest. I love mysteries when the detectives take little, seemingly meaningless clues and piece everything together. It's fascinating. I really loved this book! This book was also just okay. It started off good but slowly faded out. 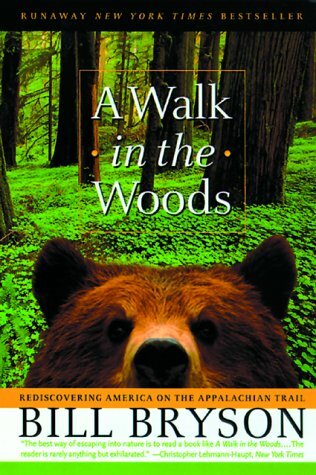 I enjoyed learning more about the Appalachian Trail, and sometimes the humor in the book was great. But all of the swearing was a huge turn off (have I mentioned that profanity is pretty much my biggest pet peeve ever? ), and the author ridicules religion whenever he gets the chance. Then he turns around and drags on for pages, writing about evolution. Hm. A very cute little book! A lot of tips for how to do all sorts of things, some very useful and a few not so useful. There are retro style illustrations scattered throughout. I loved this. I was very excited about it, from the cover and the blurb on the back. The beginning was a little slow and slightly confusing (with the way the prologue was set up), but I settled into it soon. 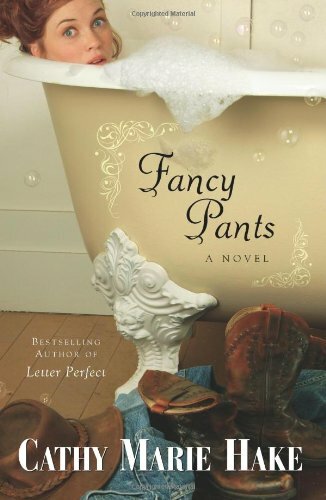 This book wasn't like anything else I've ever read, though I can't exactly explain why. I felt so involved with the characters and their lives. It was incredible to see Mariette grow from a teenager just out of high school into a young wife experiencing all sorts of challenges. And I just loved the setting- the south from 1959 to the 70s. 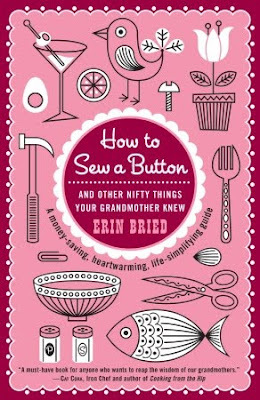 Overall, this was one pretty amazing little book that is really sticking with me. 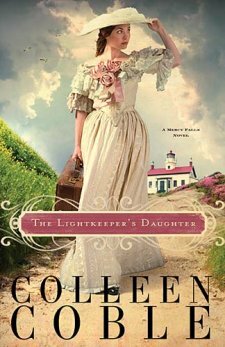 At first, I thought this book was just your average Christian historical fiction...but there were some good, unexpected twists at the end that impressed me. I enjoyed it quite a lot. It seems that I collect clocks. I say "it seems" because it didn't happen intentionally. I didn't just decide one day that I wanted to start collecting them. It came from the fact that I love and collect vintage (or vintage inspired) things. 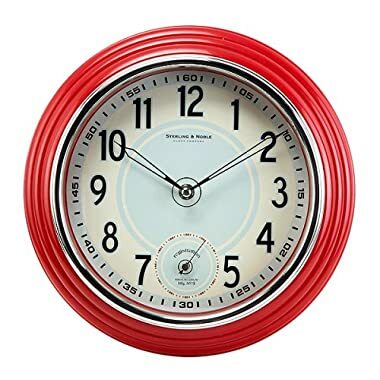 I just love this clock from Target. It would look perfect in the yellow and red kitchen I hope to have someday. :) It's even lovelier in person...the red is darker. In my bedroom, I currently have six clocks. I had seven, but I moved the small Wizard of Oz one into the sewing room. I love it...when things are really quiet around here, it sounds like Geppetto's work shop in the Pinocchio movie. 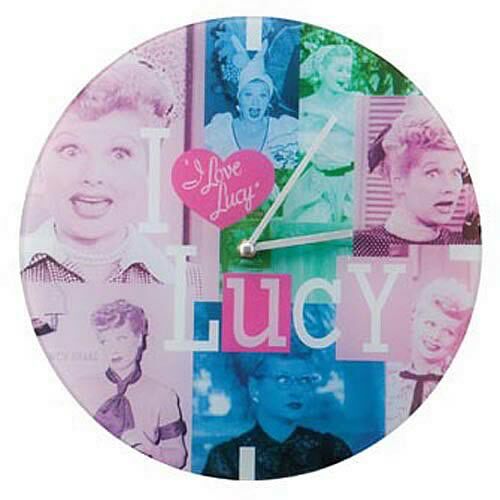 This is one of my Lucy clocks. Unfortunately, the clock part doesn't work (it never has, even when it was brand new), but the bottom part does spin. 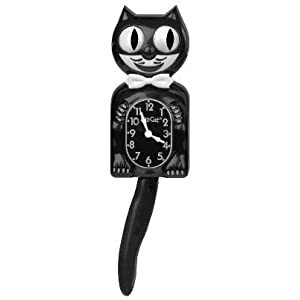 This is my other Lucy clock. It's made of glass and the colors match really well with my room. This Elvis clock swings his legs. :) I think this is the first clock I ever got, so even with new batteries, he's still a little slow these days. I love Kit Kat Clocks! Aren't they adorable in a slightly creepy way? :) Mine is a newer reproduction, but I'd love to find one of the vintage electric ones some day. With two notable exceptions (West Side Story and Oklahoma! ), I haven't met a musical that I didn't like. And I have watched many musicals over the past few years of my classic movie obsessiveness. I think that we would all enjoy life a lot more if sometimes we pretended we were living in a musical. Go ahead and break out in song every once in a while (just try and make sure the song you're singing is slightly relevant to the situation). Ignore the stares (I can't sing so I'm not brave enough to do this yet :). When it's raining, twirl your umbrella a little and hum like Gene Kelly. Splash in a few puddles. 1. Musicals can be elegant. Seriously, when I hear that word, I instantly think of Fred Astaire, in his top hat and tails, and Ginger Rogers, in a gorgeous dress that is either silky, feathery, or both. Could there be anything more elegant than a 30s black and white Astaire/Rogers musical? 2. Musicals can be a little tacky. 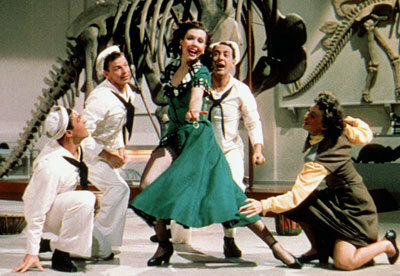 When I first started watching Technicolor musicals, I could hardly focus on the songs or plot because of the bright, eye-burning colors of everything. :) Thankfully, I have adjusted and now I adore the tackiness of splashy Technicolor. The best example is probably the beautifully colored shirts of the seven brothers at the barn dance. 3. Musicals can be weird. Most musicals have at least one song, dance number, or scene that is a little strange. When you watch the musical over and over, you adjust to the weirdness, and it just becomes another part of the movie to you. But when you watch the movie with someone else who's never seen it before, they may have a harder time accepting it. :) I always thought that the "Prehistoric Man" song and dance in On the Town was a little odd. There's also the "Heavenly Music" song in Summer Stock, which involves Gene Kelly and Phil Silvers as hillbillies in oversized overalls, ugly wigs, and huge fake feet. Yeah. 4. The plot of a musical can be clever and creative. Some musicals have really interesting, realistic plots and songs that actually fit properly into the plot. Like Singin' in the Rain, which is about the awkward transition from silent films to talkies (random fact: my informative speech in public speaking class is going to be on this topic :). 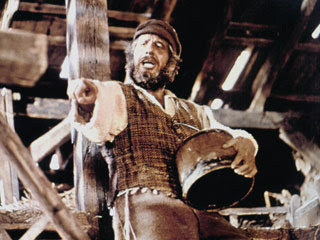 Or Fiddler on the Roof, about the life of a Jewish family in Russia. 5. The plot of a musical can be nonexistent or weak. I know this hardly seems like a reason to like a musical. :) Sometimes musicals have very similar or familiar plots. But sometimes you just like to watch something that is fun, with great songs, and not have to worry with a serious plot, right? 6. Musicals can be extravagant and over the top. Musicals always force you to suspend your disbelief. But that's okay. That's why they were so popular during the war years and other tough times in history- they provide a sort of happy escape. Believe that Jane Powell's character in SBSB would agree to marry a man only minutes after meeting him. Believe that a small Scottish town called Brigadoon only appears once every hundred years. These things are allowed to happen in musicals! :) And where else can you find song and dance sequences that last up to 15 or 16 minutes long? 7. The songs in musicals are memorable. (Most of the time.) Sometimes you may not remember a certain scene or quote from a movie. But songs from musicals often get stuck in your head. And since you remember the song, you also remember the characters and story line that were involved. Plus, you can listen to the musical soundtrack while you're doing other things, if you don't have time to watch the movie itself. "We're trying to tell a story with music, and song, and dance. Well, not just with words. For instance, if the boy tells the girl that he loves her, he just doesn't say it. He sings it." "Why doesn't he just say it?" "Why?" Oh, I don't know. But it's kind of nice." 9. Musicals usually involve dancing. And I love dancing. Let me rephrase that: I love to watch other people dance. Dancers in musicals make it look so simple and fun that I almost want to try. (This is also why I'm fascinated with Dancing with the Stars.) I'm in awe of people who can dance. 10. Happily ever afters. I believe that every single musical I have seen has an optimistic, hopeful ending. (Even West Side Story, to a certain extent.) And I like that. P.S. My favorite musical of all time is Singin' in the Rain. My favorite musical actors are Gene Kelly and Judy Garland. For a list of most of my favorite musicals, you can look under the musical heading here. For more posts about musicals, click here. 2. My Gene Kelly documentary came! I'm watching it now. 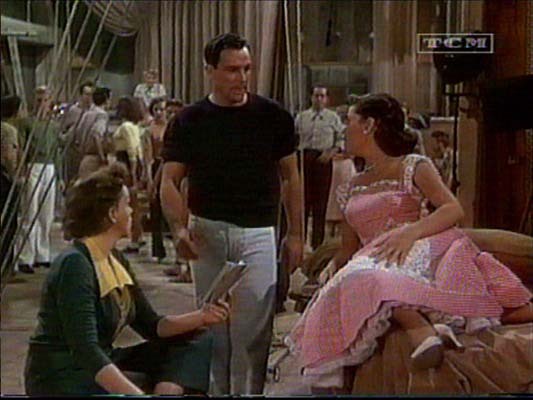 Gene Kelly is the best (a post about him is now in the works, along with the musicals one). 4. Our new Internet router came. On Wednesday night, our Internet died, and we were told yesterday that it would take 3-4 business days for our new router to arrive. I felt a little panicky about not having access to my Etsy shop all weekend (especially because I dreamt Tuesday night that I made a $95 order :), so I was relieved when it came today. :) I will admit that it was nice yesterday, having a completely Internet free day. P.S. I watched Wives and Daughters yesterday. I liked it a lot, though not nearly as much as North and South or Cranford. :) I was glad to hear that so many of you are N&S fans, too! 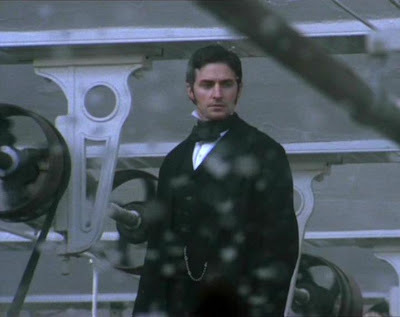 Yesterday, I watched North and South for the first time. I had no idea what the plot was about, no idea that if would focus so much on industry, cotton, mills, and strikes. I would have never expected to be interested in such a movie...but I was. In short, I absolutely loved it. It was a beautiful movie. And the music...wow. So yes, I ended up buying the Elizabeth Gaskell collection from Amazon since they knocked the price down. And even though I've been failing my new year's resolution to cut back book/DVD purchases, I confess that I am so happy I bought this set. It's the only way I could get my hands on North and South, because we don't have Netflix and our library doesn't have the series. As a single girl, I'm not very fond of Valentine's Day. Still, I never waste an opportunity to watch my favorite chick flicks and eat a massive amount of chocolate (yes, even more than usual). 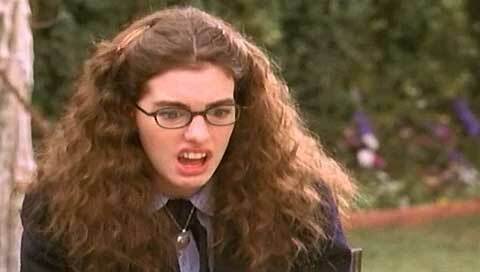 Tomorrow, I have classes all day. My Valentine's Day will be spent listening to lectures, playing with kids during internship, and practicing CPR. Since I won't be able to squeeze in any movies during all of that fun, I've been trying to get in some chick flicks over the past few days. I watched the first two Anne of Green Gables movies. And yesterday, I watched 2005 Pride and Prejudice. 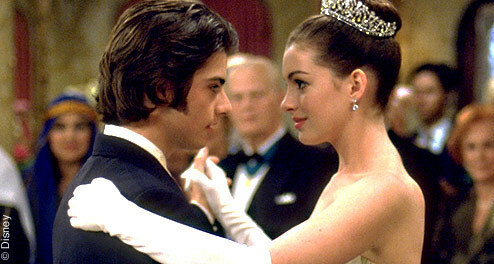 If you have been reading my blog for any amount of time, you've probably noticed that I talk about this movie a lot. 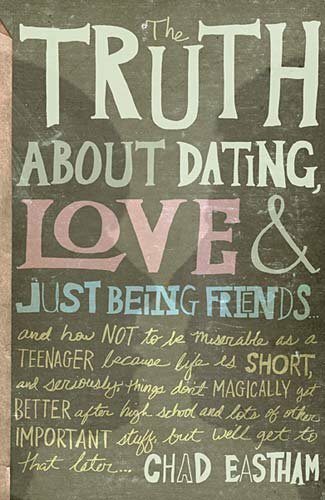 But it's been a while since I gushed (in length) about it, so in celebration of Valentine's Day, here we go. 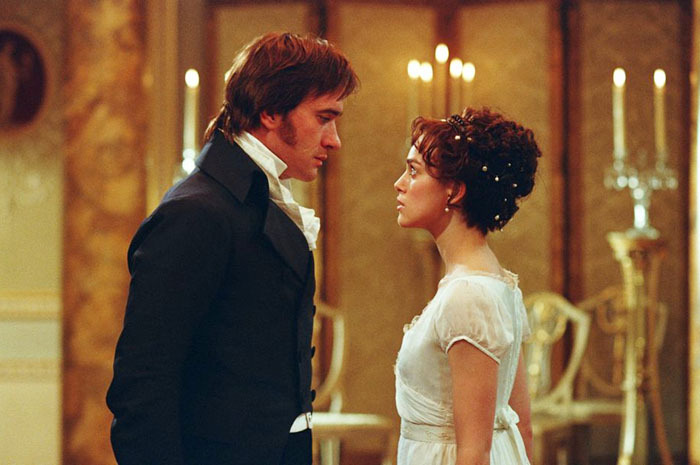 And the 2005 version of "Pride and Prejudice" has been my favorite movie ever since. Seriously, my favorite. And that's saying a lot, because you guys know how much I love movies. I've watched it so many times that it's sort of ingrained in me. I realized, while watching it last night, that I know a lot of the lines by heart. There are certain lines that I can hear in my head, and picture the character saying, because of the distinctive way they're said (like Mr. Darcy, during the rejected proposal, saying, "Mr. Wickham!" very quickly when Lizzy brings him up, or Lady Catherine's voice when she says, "I have never been thus treated in my entire life!"). I know there's a lot of fuss over which you prefer- this one or the BBC (aka, Colin Firth) one. For me, there's no question. The BBC version may follow along more closely to the book, and you guys know how obsessive I am over such things. :) But compared to this one, it seems a little bland. The 2005 P&P is gorgeous in every way: the scenery, music (one of the best soundtracks ever! ), cinematography, the colors, costumes, everything. 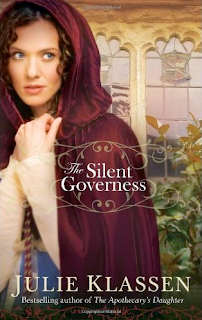 Plus, to me, it's very clever and humorous, more true to Jane Austen's novel in spirit. So...tell me the truth. Which version of Pride and Prejudice is your favorite? Inspired by Mindy's post, I've decided to put up a post at the end of each month, telling about the books that I read that month. In the past, I have put up real reviews of some books, but others have gotten pushed to the back and never really even mentioned, even if they were incredible books! So this way, every book gets recognized. :) I'll still do some lengthier reviews, as well. A very sweet, funny story about a girl (Sydney) who escapes an arranged marriage by taking refuge at her uncle's ranch/farm and masquerading as a boy (Syd). Very enjoyable! You guys can read all about this one here. I loved this book. And I really didn't expect to. I got it from the library back during my European travel crisis a few weeks ago. I mostly got it because of the focus on France, not because I know anything about cooking. I knew what Julia Child looked like and had heard her famous voice, but I didn't really know anything about her. This book is fascinating! It's mostly about the years that Julia and her husband lived in France and how she came to love French cooking, but it covers up through the time that she cowrote Mastering the Art of French Cooking and began filming her TV show The French Chef. I especially loved the first half- with her detailed reflections of her beloved France. And the food...it seemed that I always ended up reading this book close to a meal time, and her descriptions made me hungry (most of them, anyway :). The second half lags a little as she writes about writing the famous cookbooks, but you have to appreciate the detail and devotion she showed in making the books perfect (sometimes testing out recipes a dozen times just to be sure!). I loved reading about her relationship with her husband, Paul. Their relationship seemed so comfortable and their love for each other comes across beautifully. And his gorgeous photographs are scattered throughout the book, adding to her descriptions. In short, this book gave me information about France, a peek into Julia Child's fascinating life, and *gasp* more interest in and appreciation for cooking.